Mercedes GLA-Class GLA 200d 4Matic Sport Premium 5dr Auto 2019 Review | What Car? What Car? will save you at least £3,011, but our approved dealers could save you even more. This 2.1-litre diesel engine isn’t going to raise your pulse, but it’s responsive enough in normal driving. And while it’s quite coarse-sounding under acceleration, it does at least quieten down at a steady cruise. 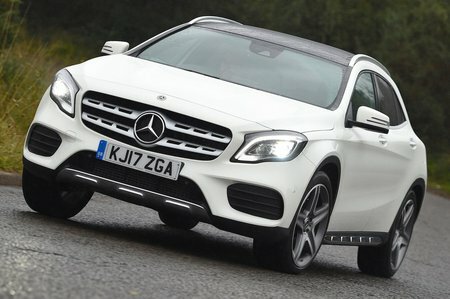 It’s also the most economical engine in the GLA line-up. Front-wheel drive and a six-speed manual gearbox are standard, but you can have this engine with a seven-speed automatic 'box and four-wheel drive.